If you have an Android phone, Amazon has a special holiday gift for you. Today through Friday, December 26 the Amazon App Store is giving away 40 paid Android apps and games for free. There are some good titles included too like the Fleksy Keyboard (reg $1.99), Age of Zombies: Season 2 (reg 99¢), Plex (reg $4.99), The Oxford Advanced Learner's Dictionary (reg $30.99), Sonic the Hedgehog 2 ($2.99) Tunein Radio Pro ($9.99) and Root Explorer (reg $3.99). Click here to see the complete list. 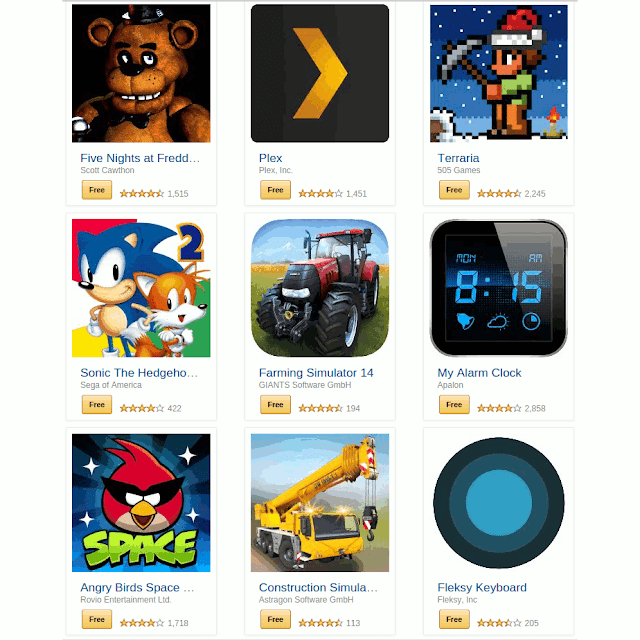 To get in on the free apps you need to have the Amazon Appstore installed. You can get it from Amazon.com by clicking here using the browser on your phone. Follow the prompts to "Allow Unknown Sources" and finish the installation. Then go back to the list of free apps with your phone browser and start downloading. Or you can "purchase" the free apps using the PC web version of the Amazon Appstore and then launch the Amazon Appstore on your phone and tap the Menu icon in the top left and then tap My Apps and your purchases will show up on the Cloud tab. If you don't see them, tap the Refresh icon in the top right. If you get hopelessly stuck, Amazon has detailed help pages for their Appstore here. Thank you for this tip, Dennis. This rocks! Good looking out. This was above and beyond. Picked up a few apps I'd been eyeing but thought were to expensive like TuneIn. Anyway, I love this post. Thanks for this nice Xmas present. Dennis, another sincere thank you from a regular reader and a brand-new Android phone owner! And the deal is done.